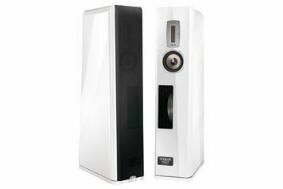 BRISTOL SHOW 2011: Quadral makes its UK comeback | What Hi-Fi? Established 40 years ago, and well known in the 1980s for its reference Titan speaker, Quadral will bring its entire product range to the UK and Ireland. It's in the process of establishing a new dealer network and will release further information at Bristol. The company has already secured a UK distributor, based in the Midlands. Managing director for the new distribution company is Paul Heath. "This is a passionate and skilled team we've put together for this brand, and one that's supremely focused on ensuring we do all we can for our retail partners," says Heath. "There are of course a considerable number of existing speaker manufacturers on the market... we will offer something different to compare against and audition." Models coming to the UK include Quadral, Aurum, Quintas, Aluma and Titan. New for 2011 is the Aurum Vulkan VIII floorstander (pictured) which employs Quadral's own patented 'Altima' membrane midrange and woofer drivers, 17cm and 32cm respectively, housed in a pressure chamber for "deep, clear and punchy bass". Like all Aurum speakers, the Vulkan VIII is available in three natural wood finishes, black or white gloss and 190 special lacquered colour finishes. Quadral has also revamped its entry-level SUB 63 subwoofer. Visitors to the show will be able to enter a competition to win a pair of Quintas 404 floorstanding, three-way bass reflex speakers. The Bristol Sound & Vision Show, run in association with What Hi-Fi? Sound and Vision, takes place at the Marriott Hotel, Lower Castle Street, Bristol from February 25th to 27th. Further details on the show website.